Updates table statistics for use by the query planner. 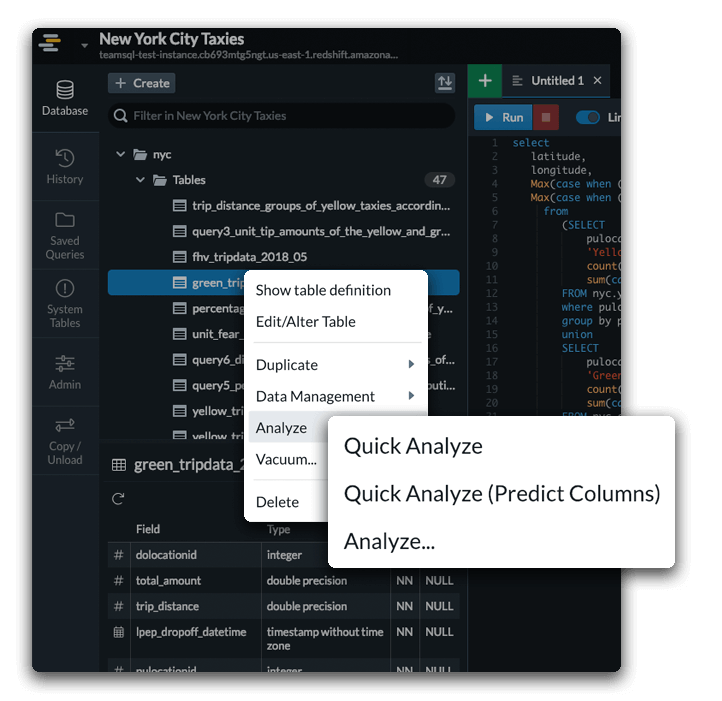 With DataRow’s Quick Analyze function, perform the command even faster on your Amazon Redshift. 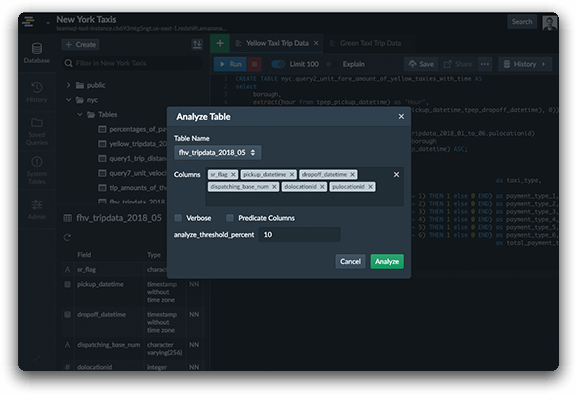 Run the ANALYZE command with DataRow instantly to collect the statistics on the tables that the query planner uses to create an optimal execution plan. You can modify the ANALYZE command by selecting the columns you want to see and setting the threshold.